Teen Eco Experience is a leadership, environmental education & volunteer service program packed with innovative activities and outdoor adventure specifically designed for 14 – 16 year olds. Become the leader of the future! 2019 Registration & Programming will be available Feb. 15, 2019! We are working on AWESOME additions to programming so check back often! This teen program features wide variety of activities and fantastic field trips that your teen is sure to love! We offer a multitude of different programs which are flexible with your teens busy summer schedule. The teen summer program is now a weekly program. Register for 3 weeks (regular weeks) or more and receive a Multiweek discount! Discount does not apply to any of the Specialty weeks, including Ocean Quest. Weekly Options all Summer Long! – We have two options that teens can participate in, our Volunteer only program and our full Teen Eco Experience. Teens can participate in either of these weekly programs all summer long. The Teen Eco Experience is a combination of volunteer work and activities or field trips designed specifically for teens. Teens will be assigned to a camper group (ages 5 – 9) which they will work alongside certified teachers and college students guiding campers through a series of outdoor activities. The time that they work with the groups they earn community service hours for high school. In addition, they will come together with the Teen Eco coordinator and participate in a variety of activities or field trips. To see a full list of activities and pricing for the full Teen Eco Experience please scroll further down the page. NOTE for Dania Beach location: There is a minimum of seven teens needed for the FULL Teen Eco program to run. If minimum is not met, teens are still able to register and participate in the specialty field trips. Afternoon activities with Teen Coordinator will not be offered. Pricing will be adjusted accordingly. 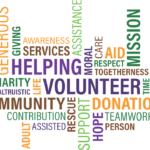 Volunteer Only Program: We offer a volunteer only program throughout the summer. There is a limited number of volunteers allowed per week and the teen must be accepted and registered by the Executive office staff. Teens who participate in this program will be assigned to a group and work alongside certified teachers and college students guiding campers through a series of outdoor activities. They will be able to participate in the normal day camp activities and field trips. The Teen Eco activities and specialty field trips are not included. There is a $65 per week admin fee for this program and maximum of 2 weeks that a teen is allowed to registered as a teen volunteer. All those that wish to participate in this volunteer program must submit a Volunteer application. 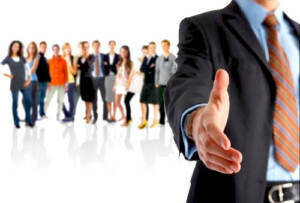 If accepted, applicants will need to come in for a short interview and information session. Career Preparation & Exploration: Learn the basics in career training such as how to interview, telephone skills, dressing for success, writing the right resume! Team building: Fun, innovative activities that include Character Development, Leadership Skills, Problem Solving, etc. Outdoor Skills: Getting to know the world around you through Orienteering, Medicinal Plants, Primitive Cooking, Wildlife Identification, etc. Engaging Onsite Activities – Teens will participate in some of the activities done during the weekly programs. Activities such as environmental science projects, creative and hands on art projects, and outdoor skills will be done during the second half of their day. Staff Training, First Aid & CPR Training – In addition, all Leaders in Training (L.I.T’s) will have the opportunity to be certified in First Aid and CPR on May 30th from 5 to 9:30 PM at Birch State Park in Ft. Lauderdale. All registered L.I.T’s will need to attend Staff training on Saturday, May 11th from 9:00 to 3:30 PM at Birch State Park in Fort Lauderdale. This training will review all Camp Live Oak policies and procedures, paperwork, and basic camper interaction guidelines. If you register your camper after these dates, your child will still be able to participate in the program and training will be done on their first camp day at 8:00 AM. Detailed information will be sent out prior to all training events. Or for further information please contact Susanna Coleman at 954-563-4880. 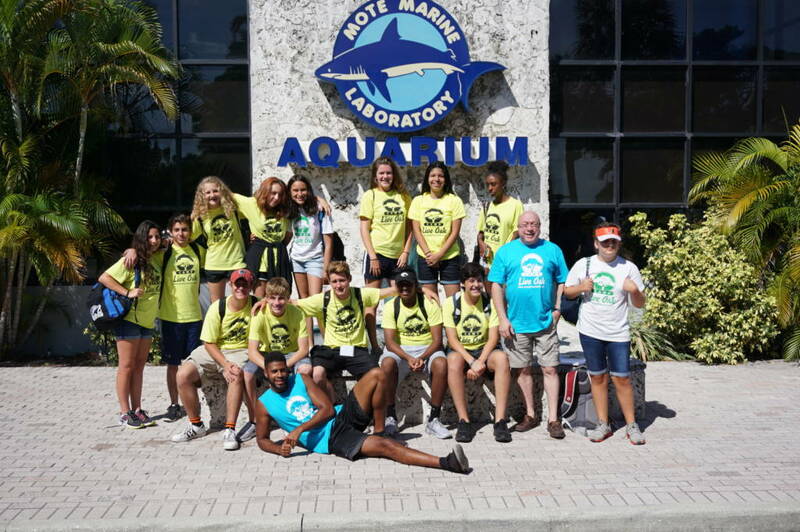 In addition to attending the regular day camp Field Trip, teens will also participate in engaging volunteer activities with other non for profit South Florida organizations. They will also learn a variety of arts and crafts with special guests artists. We offer several Specialty weeks throughout the summer that feature an amazing field trip experiences. Below are some of the trips planned for Summer 2019. 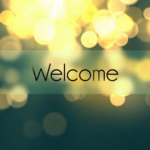 We are working on adding more activities, so please check back often for updates! Please note that Specialty weeks are not eligible for any camp discounts. 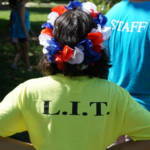 We welcome ALL teens to the first week of Camp Live Oak. Teens will go through a brief training session during this week, including a customer service session with Ms. Joyce, Career placement expert. Teens will learn the ins and outs of their role as a Leader in Training. This week will also be filled with fun teambuilding and get to know you games! And don’t forget about Friday, Teen Time! Let’s get ready for a fun filled summer! Love the smell of an outdoor campfire? This week come and learn how to make a delicious meals and desserts over an open flame! Teens will learn the basics of campfire building as well as fire safety. Then they will learn the basics of meal planning and prep, making sure to include all the major food groups! Then it’s time to start cooking a meal for the group! Get your plates ready for this yummy adventure. This week also includes a regular camp field trip. Specialty Week, June 24 – 28: The Zone Go beyond your comfort zone as you soar to new heights! 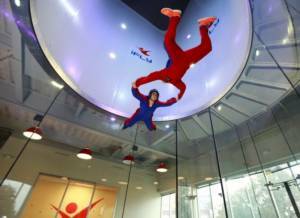 This week teens will go to iFLY, Fort Lauderdale’s premier indoor skydiving facility. This adrenaline pumping experience will also be an educational one too! Teens will be introduced to STEM concepts related to the wind tunnel, learn how engineers work together to create this technology, and participate in a small group activity. Then each teen will have 2 flys with the finale being the “high fly”! Archery Certification: During this week your teen will travel to Ft. Lauderdale Archers, private, non-profit organization dedicated to promoting the sport of archery. Here they will participate in a Level 1 archery certification class. The course will focus on learning, reviewing, and improving archery skills. 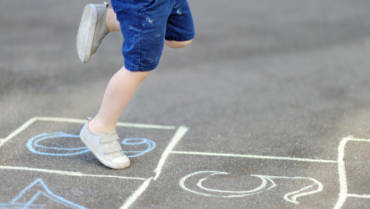 Proper posture, equipment review and terminology, and learn, review, and improve safety skills. At the end of class, teens will be certified as a Level 1 Archery Instructor. Happy 4th of July! Join in on the camp’s great summer time celebration. We will be celebrating the holiday on the 3rd of July with a delicious BBQ, parade, waterslide, and games! There is NO CAMP in Wednesday, July 4th. The Starlight Sleepover is a wonderful Camp Live Oak tradition held during the second session of summer. Teens and campers from Ft. Lauderdale and Dania are invited to stay overnight in the air conditioned cabins at Birch State Park for a fun filled night including a drum circle around the camp fire, star gazing and sing alongs. 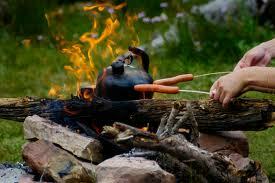 All campers will enjoy a hearty dinner, toasty s’mores dessert and a terrific breakfast as part of the registration. Teens will earn additional community service hours if they are registered for this event. There are a limited number of spots for this popular activity, so early registration is encouraged. Starlight Sleepover will be held at Birch State Park. Address: 3109 E. Sunrise Boulevard, Fort Lauderdale, FL 33304. Please note that Discounts are not applicable to this activity. Add on Fee: $85. Specialty Week, July 8 – 12: Based on last year’s popular career week session, Joyce will be returning this year to delve deeper into prepping your teen for the workforce. This is available at Fort Lauderdale location ONLY. Joyce will cover NEW topics such as dealing with stress and emotions in a school and work setting, the importance of setting goals, and building professional relationships. She will also review topics like interviewing and telephone skills, how to dress for success, writing a resume, and most importantly, how to keep your dream job! First Aid/CPR certification: During this week your teen will also participate in a one day first aid and CPR certification class, given by CPR, ect. This course is designed to provide lay rescuers the fundamental skills and confidence to perform CPR on adult, children, or infants as well as teach the skills of how to recognize and treat medical emergencies. This course will teach participants in how to recognize and alleviate airway obstructions, the proper use of an AED, and the signs, symptoms, and corrective action for a stroke or heart attack. They will also cover scene safety, the signs and symptoms of diabetes, stroke, and seizures and how to best treat these emergencies. Students will also learn how to control bleeding, treat for shock and burns. This comprehensive course is a MUST for all teens to have! Specialty Week, July 16 – 19th: NSU Shark Tagging This fabulous one day trip will be led by the Guy Harvey Research team at NSU. Teens will learn how to perform all tasks before they start the hands on portion of the program such as baiting hooks, setting drum lines, line retrieval, and collection of scientific data. 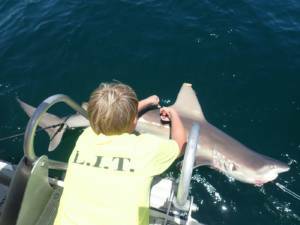 Teens will have an opportunity to see, touch, and work with any sharks up close. All the information collected with be submitted and used for scientific research and sharks will be release as soon as possible to minimize stress. Because we are working with wild animals there is not a guarantee that teens will catch any sharks, but the research team will do whatever possible so that they are successful. Specialty Week, Ocean Quest July 22 – 26th. Teens will head to beautiful Key Largo for a day snorkel trip at John Pennekamp State Park. 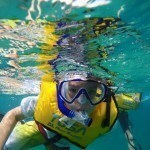 There, they will swim in crystal clear waters and see abundant sea life. Dinner will be served upon their return and before they head back in an air conditioned charter bus. Arrival time will be 8:15 for Dania Beach and 8:30pm for Birch Park. Also during this week, Teens will participate in an in depth dissection with our experienced Science instructor. Specialty Week, July 29 – August 2: Team building Thriller! Imagine…you “enter the Mayan Ruins, the place where lost souls have been dwelling for thousands of years. The previous excavation team has vanished, and left all of their belongings behind like they were in some sort of a hurry. Some say they never really left the ruins…Your team must finish what has begun, but be very careful, you don’t want to wake Ah Peku!” Can you and your team find the answers to this mystery before it’s too late? 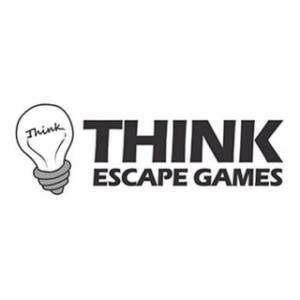 Teens will go to the super fun and challenging Think Escape Game facility in Oakland Park. Problem solving, team work is the name of the game…if you want to make it out! American Canoe Association (ACA) Certification. During this week your teen travel to Mizell-Johnson State Park and participate in an ACA certification class. The course will focus on learning, reviewing, and improving canoeing skills. Basic strokes, equipment review and terminology, and learn, review, and improve safety and rescue skills. At the end of class, teens will be certified as a Level 1 Canoe Instructor. Teens will finish off their day with a stop at Jackson’s Ice Cream shop in Dania Beach! Also join in on the event of the summer…Field Day 2019! Participate in one of the most popular activity at Camp Live Oak. 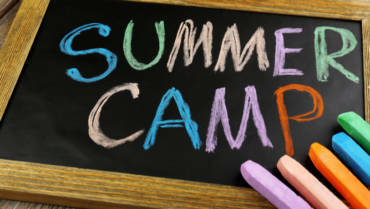 Teens will assist in creating and setting up various activities for campers. They will learn about event planning and will need to work together as a team to bring this event to life! Teens will get an opportunity to give back to the community through an offsite volunteer field trip to a local nonprofit. There is also a regular camp field trip schedule this week. Register for 3 weeks or more and receive a Multi week Discount! Discount does not apply to the following Specialty weeks. Register for 3 weeks or more and receive a Multiweek Discount. Discount does not apply to the Specialty weeks and Ocean Quest.